The Weekend Riot’s “Remember This Night” EP Is Out Now! The Weekend Riot have discovered the perfect recipe for catchy songs. Follow carefully to ensure the best results: one part Hot Chelle Rae, one part MKTO, a dash of pop punk lyrics, stir in a ukulele, and finish with a hint of whistles. Mix well, serve chilled with harmonies to garnish. Each track on the Weekend Riot’s debut EP is different, showing a different side of the band. You can hear Bruce Wiegner and Johnny Costa’s range of influences in the writing and melodies – these two work together to create some memorable songs. Their debut EP, produced by Ace Enders (of The Early November), is solid from start to finish, and one of our favorite debuts. We can’t wait to hear more from this talented duo! Pick up a copy of The Weekend Riot’s “Remember This Night” EP on iTunes or Amazon now! 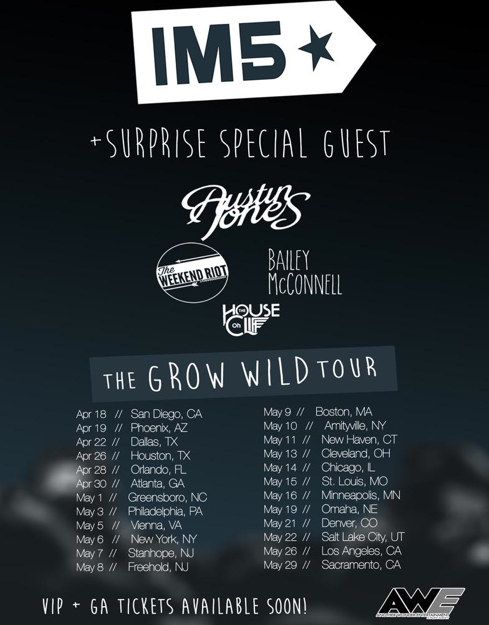 The Weekend Riot are going on tour across the US this Spring with IM5. Check out the dates below! Get to know Bruce and Johnny better by watching our interview! Follow The Weekend Riot & Secret Fangirls on Twitter.